• i've finally perfected my blankee pattern (pics to come at some point) and ordered a bunch of lovely cottons from the fat quarter shop last week specifically with blankees in mind. i usually don't buy fabric with a definite purpose, just pick up what i like at random intervals, so it was a fun change to actually have a goal in mind when selecting (the colours are a bit off in the pic, i can't seem to find a good spot to take photos lately...). they arrived yesterday and then first thing this morning i got an email from the fat quarter shop with a 20% off code so, of course, back i went for more. love it. •i just popped into rathdowne remnants in brunswick for the first time and was sorely, sorely disappointed. it wasn't nearly as big as i'd expected, only had about 20 bolts of (ugly) quilting cotton and, as far as i could tell, there didn't seem to be any bargains to be had in any of the fabrics. i was hoping to find some buttery cream wool/cashmere felt for blankee faces but they didn't have the right colour and the closest, an off white, was $46/meter - just couldn't justify the cost when the colour wasn't what i wanted. so i left empty handed which, let me tell you, doesn't happen very often when i visit a fabric shop - in fact, i can't remember the last time. • and finally, a melbourne fabric shop that is very worth a visit, amitie is having a 20% to 50% off sale next friday and saturday, august 8 and 9 from 9:30am to 8pm. can i take a teeny tiny baby (assuming i have one by then!) fabric shopping?? I love that you are shopping for fabric at 40+ weeks pregnant! A teeny tiny baby is the best kinda baby to take shopping - they are most likely to sleep! Thanks for the Amitie tip, too! And thanks for the Amitie tip! Teeny tiny babes are the best type to shop with. They're perfect little shopping companions, sleeping all the while everyone else is cooing (perfect diversion so you get the best bargains!). You sure can take in teeny tiny baby shopping, & when they get bigger they have a dollshouse at Amitie to keep them amused-perfect! Oh yes you can take a teeny tiny baby anywhere! It's the ratty, tired, snotty three year old that's not much fun to shop with. wow, Rathdown is the shop they are using in Project Runway so I thought it would be great. I would be taking my new little hatchling without a doubt and if worse comes to worse all that excitement of bargain shopping could bring on labour. 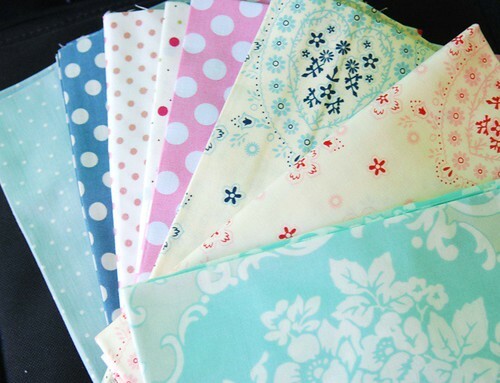 So.... Was there any fabric shopping with a wee one :-) ? I have a 6-month-old baby now. I took him out shopping almost immediately. I can't wait to see pictures of your little one!